Well they did finish. They had some teething issues,as to be expected. 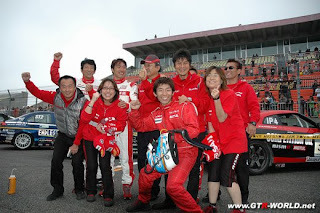 Nismo team were able to overcome them all to put in a full on 24hrs of racing. The GT-R finished the race in 21st place from 28 entries putting in 546 laps. Winning the race was the #50 Petronas Syntium BMW Z4 Coupe Super Taikyu (ST1) car, second was the #28 Petronas Syntium BMW Z4 Coupe Super Taikyu (ST1) car and third place was the #1 ENDLESS ADVAN Z (ST1) car.